Home / Andrew Cuomo / Daily Update / Letitia James / News / Politics / State sues feds over "unfair fluke quota"
NEW YORK-- Governor Andrew M. Cuomo and Attorney General Letitia James today announced that New York has initiated a lawsuit against the federal government challenging the unfair quota allocated to New York's commercial fluke (summer flounder) fishery. New York is seeking a revised allocation to give New York's commercial fishermen and women an equitable share based on current data about the fishery. New York commenced this litigation in response to the adoption of federal regulations on December 17, which established state allocations for the 2019 fishing year that were based on 40-year-old fisheries data. "New York's commercial fishing industry is a critical economic driver that for decades has been held back by outdated federal restrictions," Governor Cuomo said. "After countless attempts to work with the federal government to adjust the quota, New York is taking action and demanding fair treatment of the hardworking men and women of this industry. The message is loud and clear: we will fight this unfair quota until New York's access to summer flounder is consistent with national standards." 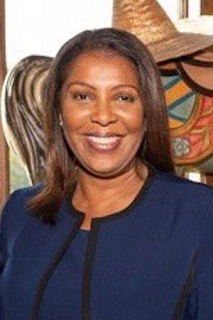 "The Federal Government's reliance on inaccurate and outdated data to set limits on commercial fluke fishing in New York is a direct threat to our state's fishing industry," said Attorney General Letitia James. "This suit asks that the federal government use the best available science to allocate fluke fishing quotas, and to ensure that New York's fishermen and women are no longer denied their fair share of the permitted catch. My office will fight to protect our commercial fishing industry, and the many New York people and communities that depend on its continued economic health." "The federal government has turned a blind eye to low quotas and restrictive inter-state fishery management plans that are putting unreasonable limits on New York's commercial fishing industry," said Department of Environmental Conservation Commissioner Basil Seggos. "These unfair quotas have forced New York State to restrict fishing access and are limiting the economic prospects of the next generation of commercial fishermen and women." Captain Anthony (Tony) DiLernia said, "I congratulate Governor Cuomo and the State of New York on the decision to proceed with litigation challenging the current commercial summer flounder system. For years New York's delegates to the Mid-Atlantic Fishery Management Council and the Atlantic States Marine Fisheries Commission have tried to negotiate a revised allocation system only to be blocked by states that are unwilling to reexamine the quota distribution out of fear of losing a small portion of their quota. The current allocation system utilizes data that is nearly 40 years old, and this data no longer applies to the current distribution of the stock. Science produced by NOAA's Northeast Fisheries Science Center indicates the stock of summer flounder has shifted north, and policy guidance by NOAA recommends allocations be reexamined every 10 years; yet NOAA continues to accept the same 40-year-old data in the management of the fishery. It is time for a change!" Before filing the lawsuit, New York made numerous requests to federal agencies to correct these longstanding and unfair allocations. In March 2018, the State filed a petition with the U.S. Department of Commerce and the Mid-Atlantic Fishery Management Council, demanding that commercial fluke allocations be revised to provide New York's fishing industry with equitable access to the fishery. In addition, the State provided multiple formal comments to the federal government challenging its unfair commercial allocation of this shared natural resource. The publication of the 2019 allocations in the federal register requires New York State to take formal legal action against the federal government over commercial fluke allocations. Scientific studies have shown that the distribution of summer flounder and the summer flounder fishery have shifted north toward New York waters since federal allocations were established. The current federal fluke allocations were set in 1993, based on data from the 1980s, when the fluke population had been fished to very low levels. Since then, the population has recovered; larger, older fish are more common, and these bigger fish tend to be found closer to New York. In addition, fluke may be found further north due to rising water temperatures associated with climate change. The Magnuson-Stevens Act requires that fishery conservation and management measures adopted by the federal government be consistent with 10 National Standards. New York contends that the quota assigned to New York is inconsistent with five of the standards, including National Standard 2, which requires that those measures be based upon the best scientific information available, and National Standard 4, which requires that such measures are fair and equitable in assigning fishing privileges. Prior to the March 2018 petition, New York State had been pursuing equity for its commercial fishing industry, as well as modernization of regulations to reflect the fishery as it currently exists, by participating in the amendment process to the fluke fishery management plan through the Mid-Atlantic Fishery Management Council. This amendment process has been ongoing since 2014, but has yet to result in equity for New York or consistency of the fishery's management with best-available science. The State's repeated efforts to introduce alternatives that significantly increase New York's share of the commercial quota for fluke have been thwarted by other voting members representing the interests of other states. In the absence of action from the council, New York is calling on the federal government to end this unfair treatment of New York State's commercial fishermen and women. State-by-state allocations for commercial fluke were set in the early 1990s using incomplete landings data from 1980 through 1989. At that time, New York's allocation was set at 7.6 percent of the coast-wide quota, while neighboring states were allocated up to 15.7 percent for Rhode Island, and 16.7 percent for New Jersey. Virginia and North Carolina were allocated 21.3 percent and 27.4 percent. New York's commercial fishermen and women and seafood dealers have suffered under this low allocation since the 1990s, resulting in closures and daily trip limits of 50 pounds in 2017 and 2018 for most of the year.